These delicate 9 carat yellow gold earrings will add a minimal touch of glamour to your style, encrusted with a 0.04 carat diamond within the heart frame. This is the perfect complementary accessory for your looks and will take you from day to night. 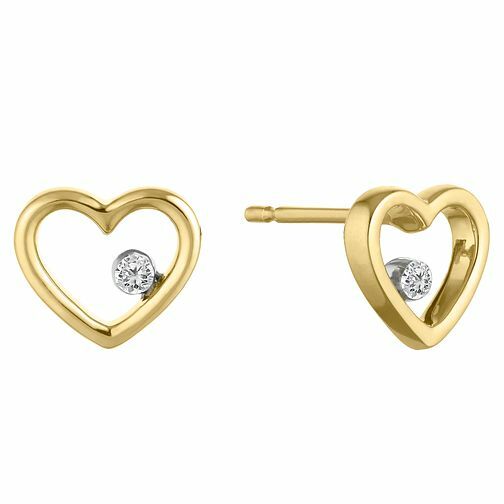 9ct Yellow Gold Heart Earrings with 0.04ct Diamond is rated 5.0 out of 5 by 1.